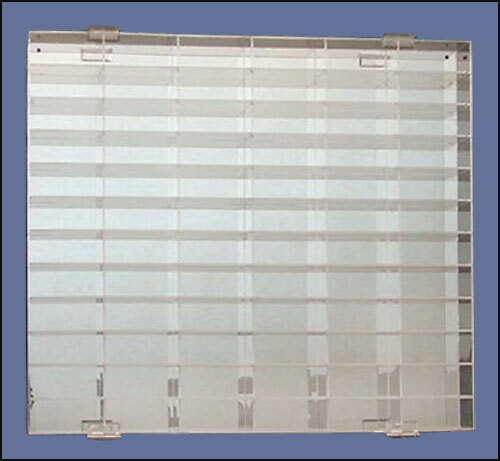 This 66 car acrylic display case is for 1:64 scale die-cast cars and race trucks. Has a mirror back and a hinged doors on the front to keep your collection dust and smoke free. Also comes with pre-drilled holes so the unit can be wall mounted. Measures 20.5” tall x 24” wide x 3” deep.